This course is designed to teach you how to print your own cards, using a relief printmaking technique. Using a type high linoleum block, you will learn how to cut an image or design into the block, and print onto paper that will be folded into a card for your own personal use. This is an intermediate etching workshop, though all skill levels are welcome. 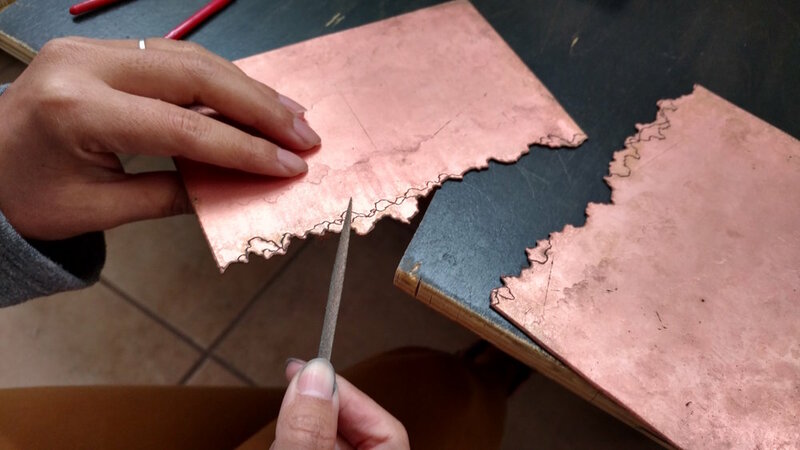 Create your copper etching plate in any shape you want! Students will learn line etching, cutting, filing, and printing with various intaglio techniques. All materials are provided. Moku Hanga is traditional Japanese woodcut printmaking. In these two class sessions, students will learn basic techniques in carving, registration, preparing paper and printing in the Moku Hanga stlye of relief printmaking. Students will also be introduced to the specific materials and tools necessary to achieving Moku Hanga prints. Carving tools are available but students are encouraged to bring their own if they have them. The reduction cut linoleum block print is a method of block printing in which each color layer is taken from the same block. More linoleum is removed from the block for each layer and each color is printed on top of the last. This means that an entire edition must be printed in one go - once you have carved into the block for the next layer, you can't go back to print more. In this workshop, you will learn how to develop images and separate color layers on sheets of tracing paper, become familiar with cutting linoleum, create a registration guide, and learn how to make immaculate prints. May Roded will run a demo on proof press, and then you will learn how to edition and correctly sign and title a fine art print. All materials provided, including paper, linoleum block, ink, brayer and linoleum cutter. This course will provide instruction in low-toxic intaglio printmaking techniques, including drypoint, hard ground etching, soft ground etching, aquatint, chine collé, top roll, and a la poupée. All materials included except for PAPER. Precoated paper, materials to expose and process, supplies are included. Please bring any extra personal materials you would like to expose for your cyanotype print! Examples: translucent fabrics, dried plants, flowers, buttons, pins, strings, glass bottles, etc. Session I: Practice making various styles of hard and soft bound books. Participants will make their own 5x7" journal or sketchbook in the style of their choosing. Basic cover printing technique will also be demonstrated. Session II: Learn how to create your own clamshell style print portfolio box. We will cover the process from design to construction, including some basic cover printing techniques. 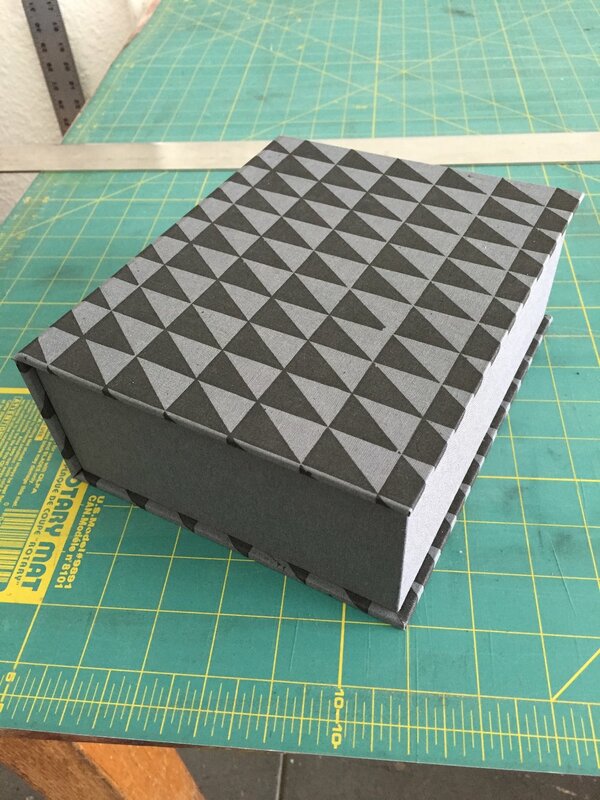 All materials to make one 5x7" hardbound box included in class fee. Learn the versatile process of screen printing with Alex Fridrich. A great technique for creating your own colorful posters, zines, and artwork. Participants will learn how to prepare & expose screens and print their own design on any flat surface. All materials provided, except paper.